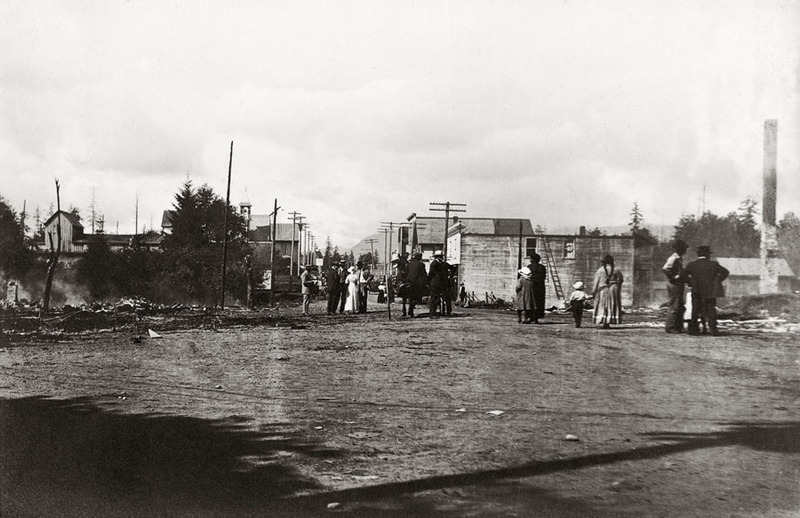 Photo credit: Picking up the pieces after Courtenay’s devastating 1916 fire. King Studio photograph. CDM 972.54.5 Page 113. Photo caption: “In [July] 1916, a devastating fire destroyed a city block, and the residents had only a bucket brigade with which to fight it. Joseph McPhee went to work once more to persuade his fellow citizens that the city should be in the water business.” Page 113.